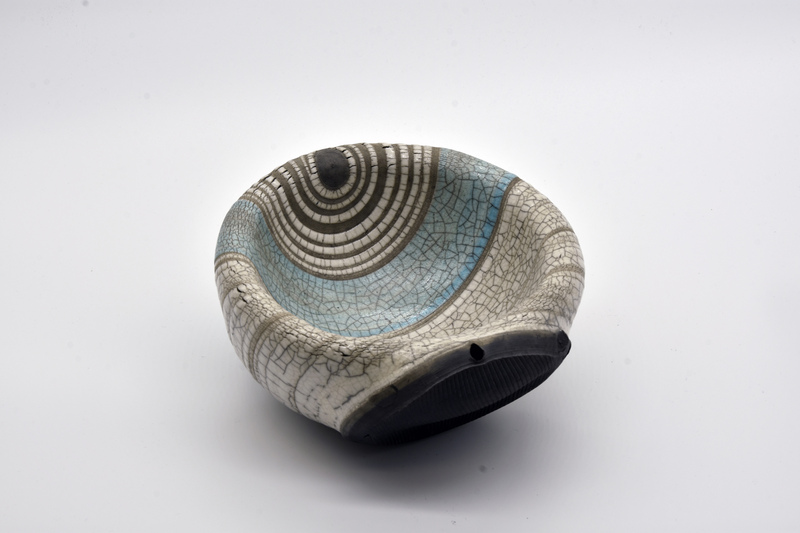 My work is made on the wheel and then Raku fired. I use many different techniques within the Raku process. I always strive to create interesting and unusual surfaces on my forms.